Valencia, on Spain’s sunny east coast, is famous for its beaches. There are several to visit, all of which are clean, family-friendly and mostly undeveloped. 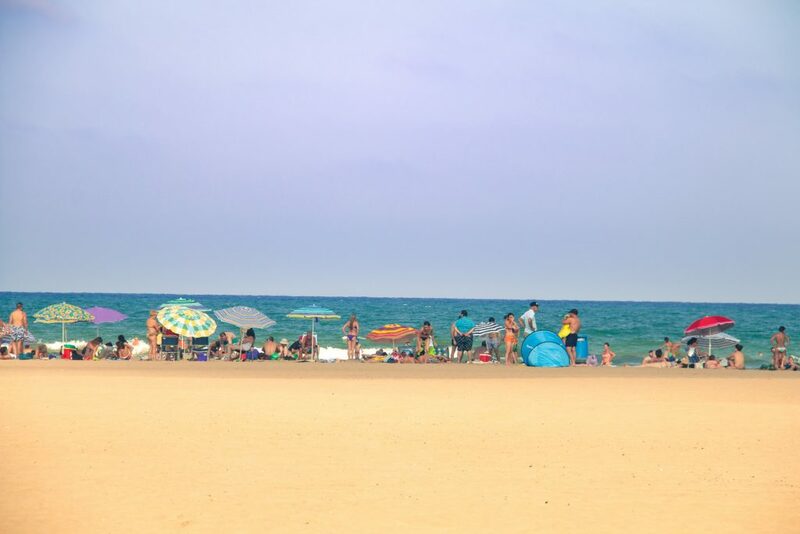 The beaches do get busy in the summer months when locals head for the coast to cool down, but as mass tourism is yet to hit this part of Spain’s coastline there’s still room for everyone. 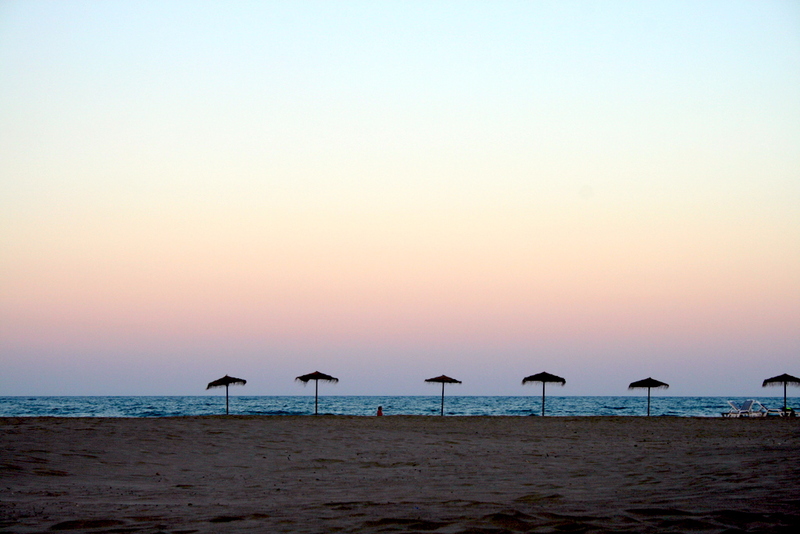 Here’s our guide to choosing your perfect beach in Valencia. 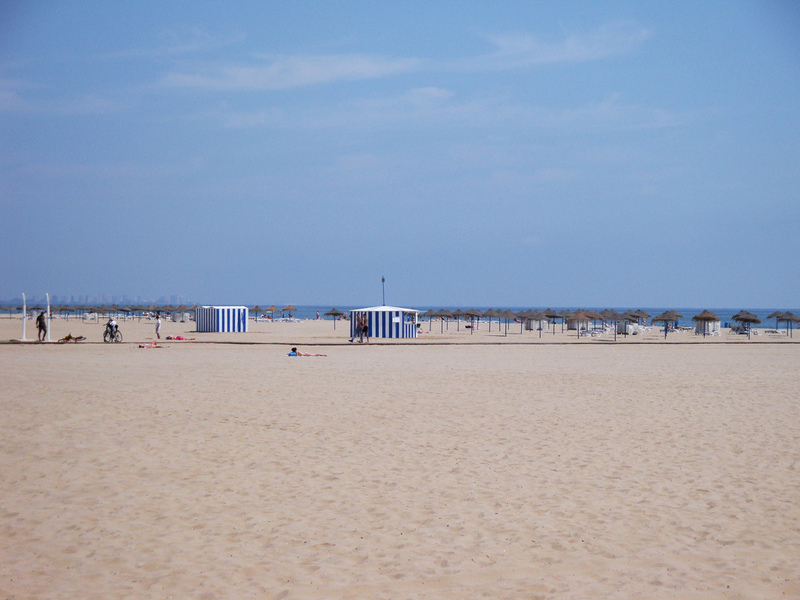 You may be surprised by Valencia’s city beach. Las Arenas means “the sands” in Spanish, and the name is perfect for this vast stretch of its fine, golden sand. It’s just two kilometres from the city centre, and easily reached by public transport. But not only is there always plenty of space for everyone to relax, it’s clean, safe and relatively undeveloped, especially if you compare it with beaches like Benidorm. There are plenty of facilities, with sun loungers for hire, volleyball courts, toilets, a snack bar and much more, plus nearby you’ll find a promenade with dozens of cafes, bars and restaurants. It’s all overlooked by the huge, luxurious Las Arenas hotel and spa. There are several more budget-friendly hotels dotted around nearby too, but it’s still a long way from being a holiday resort lined with hotels, and retains a relaxed, local vibe. Connecting to Las Arenas beach at the northern end is the equally popular Playa de la Malvarrosa, with a lovely long stretch of fine golden sand. There are all the same facilities, plus a few cafes and restaurants facing the seafront, but it also remains largely undeveloped, safe and clutter-free. It’s popular with locals, so rather than being a tourist magnet or party spot it has a pleasant, relaxed local feel. Another great beach very close to Valencia city centre, Patacona Beach is slightly further out and so it’s perfect if you’re looking for a quieter spot than La Malvarosa and Las Arenas. The landscape is unspoilt and the water is clean and safe for swimming. It’s next to the town of Alboraya, which is famous for the local drink horchata. Nearby you can pop into a relaxed beachfront cafe like the ever-popular La Mas Bonita, which also has a city-centre location in Ruzafa. Head south to discover this beautiful, Blue Flag-winning beach. El Saler Beach has over five kilometres of coastline to enjoy. It can be windy, so is a popular choice for watersports. It’s located about 13 kilometres to the south of the city, and the neighbouring village of El Saler can be reached by bus from Valencia city centre. The area is said to be the original home of Valencian paella, so make time to stop by one of the village’s numerous paella restaurants to give it a try. 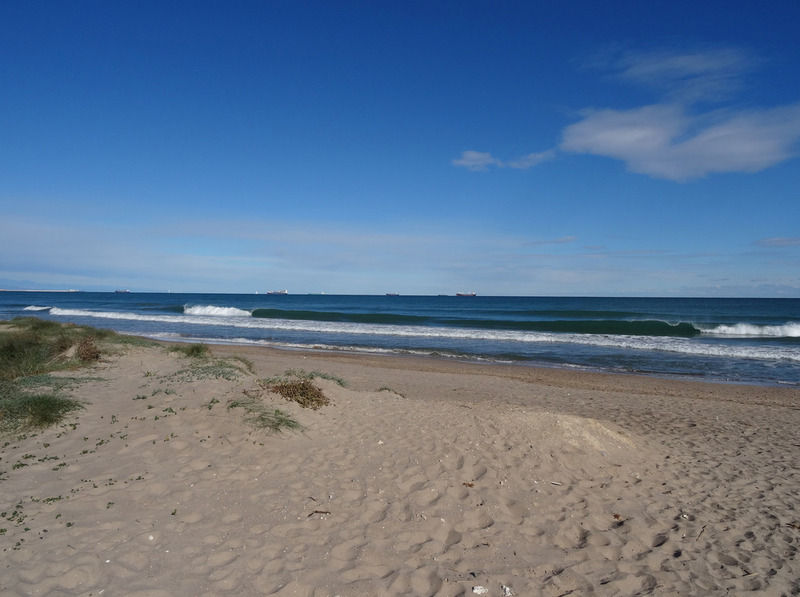 Head further south of El Saler to find another unspoilt beach in the south of Valencia. La Garrofera is the perfect choice for nature lovers who want complete peace and relaxation, with the sea on one side and the tranquil Albufera lake on the other. There are few facilities, and usually few other people around. It’s best reached by car. It’s well worth making the short journey out of the city to La Devesa Beach, one of the most pristine beaches in the Valencia region. Surrounded by natural beauty, with trees, flowers and even a lagoon home to all kinds of wildlife, this place gives nature lovers plenty to explore before a swim in the crystal clear waters.